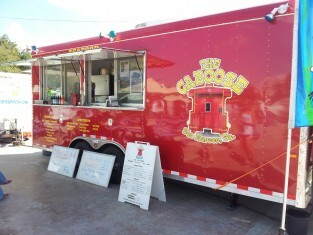 The Caboose Food Trailer in San Marcos, Bruce and John do Food Right! 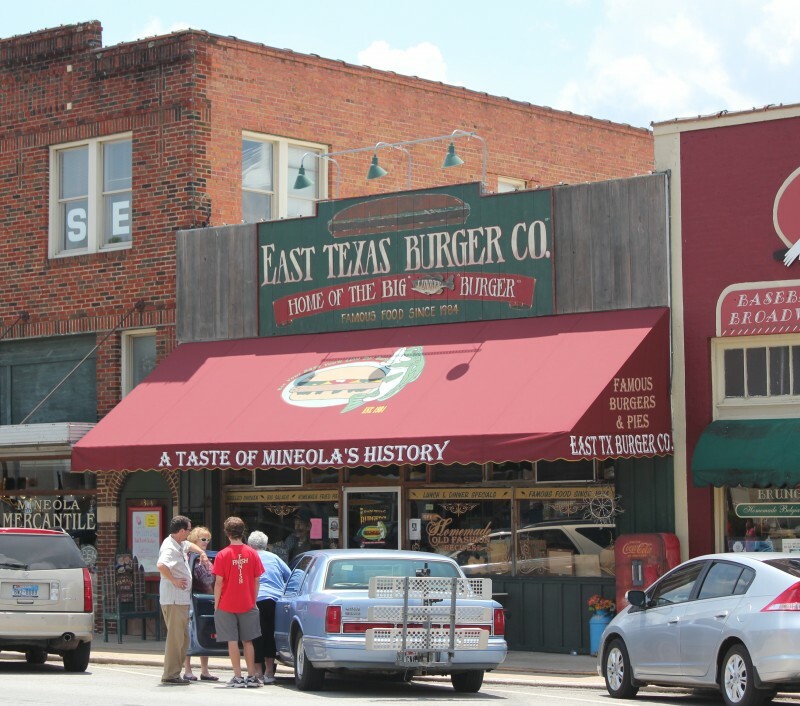 College towns are usually a hip place, with all the latest trends showing up. At Texas State University in San Marcos, the hip and the hungry go to The Hitch -A Trailer Food Mobile Eatery. Located just two blocks from the San Marcos downtown square, on a chunk of slab foundation from some long ago building, there were four food trailers the day Tastes Like Travel visited. Joined by the college student daughter, we checked out every food trailer. 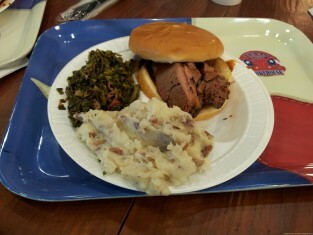 Each had a specialty and all sounded so good we decided to try something from every one except the dessert food trailer. That was only because we were full after our meal, and not because it didn’t look good! 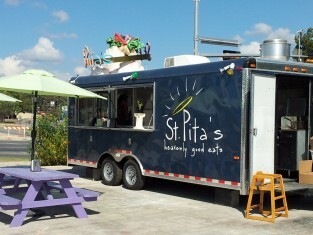 We went first to St. Pita’s, the dark blue food trailer with the artwork on top. Everything is served on it’s namesake. Since I have developed a serious jones for fried avocado, we ordered one of their fried avocado pitas. The pita was soft and warm, the avocado was fresh and the batter crispy, and the side of hummus was tasty. Next we went to Wanderlust food trailer. 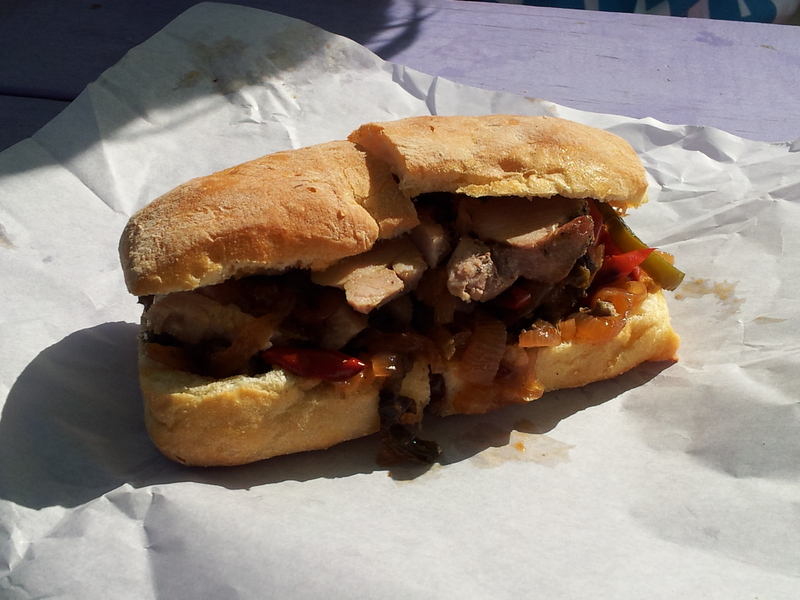 After reading about the porchetta we had to have some on ciabatta. With caramelized onions and red peppers and the best ciabatta bread in town, the pork roast was juicy and of course filled with flavors. 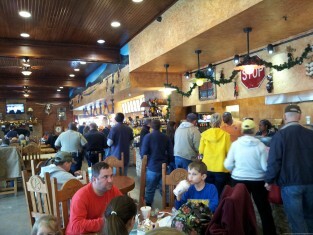 Final stop was at the Caboose food trailer. Although everything is fried, they have the science of frying down. We ordered the crab cakes and they were so crisp on the outside and moist and tender on the inside that you didn’t realize they were fried. That is perfectly fried food. The fries and hush puppies were also perfectly cooked. And the owners were so nice they get their own article! And to work off the calories, one of the ‘trucks’ is a place to rent canoes and paddle-boards to use to float on the San Marcos river, lessons too. Ask for the student discount! Food trailers are cool. And towns that work with food trucks and food trailers owners are cool. 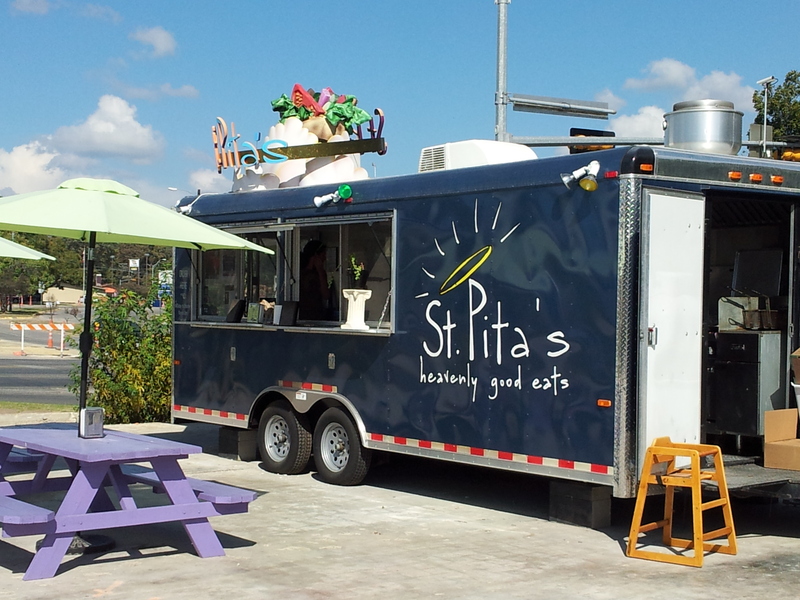 Food trailers need more than just a slab of concrete to operate on though. They need support from their chamber of commerce and their economic development corporation. 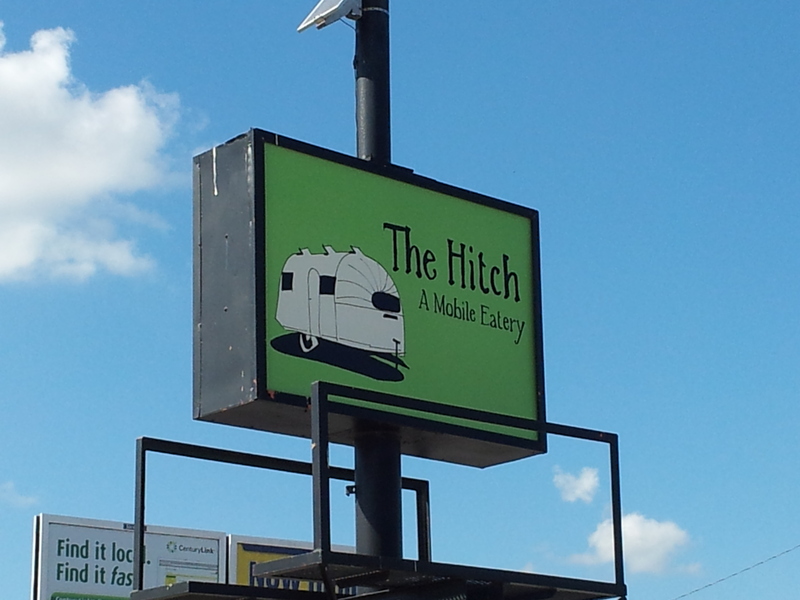 San Marcos, you have a diamond in the rough here at the Hitch. Help the food trucks and food trailers and everyone wins! As it is Spring Break week in the great state of Texas, many people lucky enough to have the week off will head to Galveston. Smart Spring Breakers will make their way to Jimmy’s on the Pier Restaurant for some fresh fish tacos and specialty beers. Tastes LikeTravel stopped by Jimmy’s at the beginning of March. After a long walk on the beach, inquiries made to islanders directed us to Jimmy’s on the Pier Restaurant. We were not disappointed! Located on one of the few remaining working piers in Galveston, Jimmy’s on the Pier boasts the only ‘on the waves’ dining on the island. Sitting at the bar in island pastel comfy andirondack styled stools, we were warmly greeted by the bartender. after a brief discussion of the beers available, we settled on one recommended by the bartender, a Brewhouse Brown Ale. Tasty! 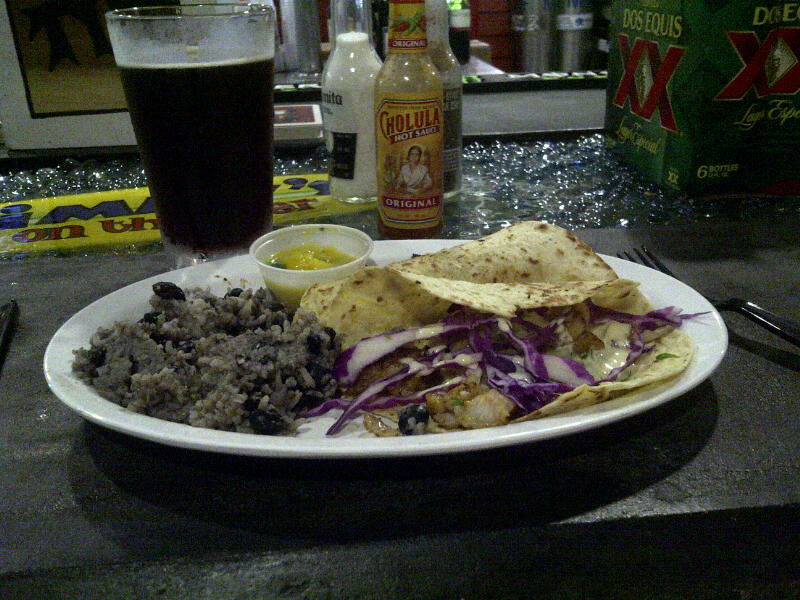 After perusing the menu, I again asked the bartender for his recommendation, and he proudly suggested the fish tacos. He mentioned that the tacos had recently been written up in the Dallas paper, and I recalled that I had read that article. 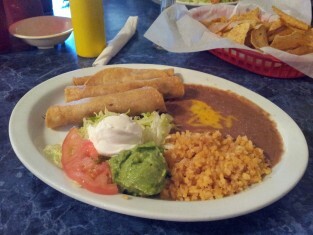 So of course I had to try the tacos! As described on the menu, the house specialty is made with locally-caught grouper, and served with a delicious white wine caper sauce. The tortilla was soft and warm, and the grated red and green cabbages were fresh and tasty. 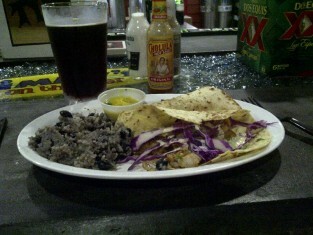 The black beans and rice served with it, although mixed together, was seasoned well. The portion was just enough to satisfy. 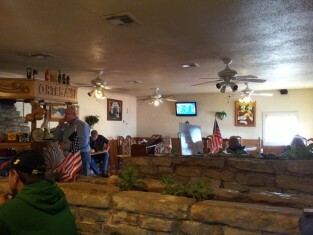 The bar and dining room are small, but the veranda opens up in good weather. Downstairs is an upscale souvenir shop that looked interesting but was closed when we visited. 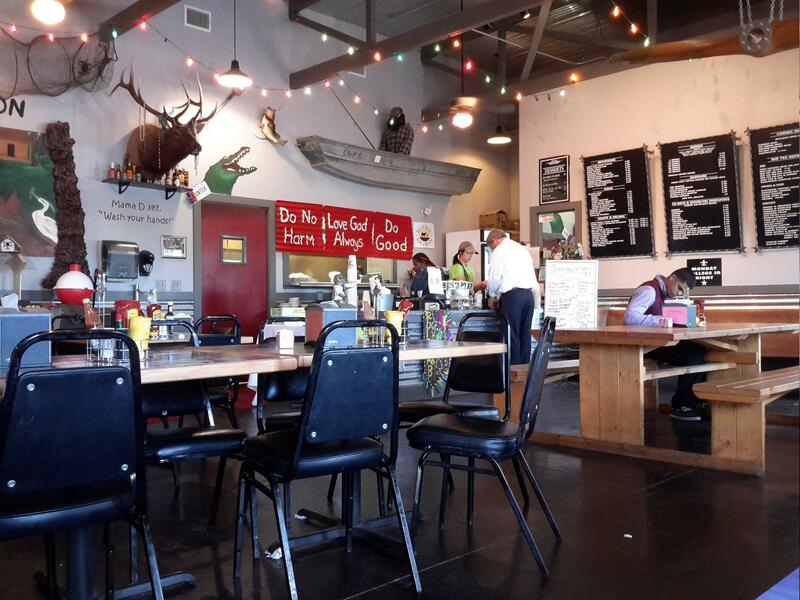 Jimmy’s on the Pier Restaurant should definitely be on your must eat list for your next trip to Galveston! Our restaurant and bar has the best view in Galveston with the only “over the water” dining around. Fully enclosed for the winter, with a fireplace and heaters to keep you cozy through the cooler months. Austin Texas is a funky Town, especially in the South Congress area. 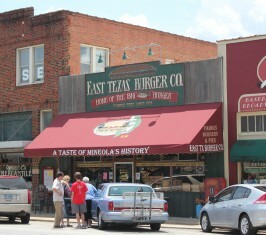 Long known as a hang out for hippies of all ages, Austin offers a variety of shopping and restaurant experiences. 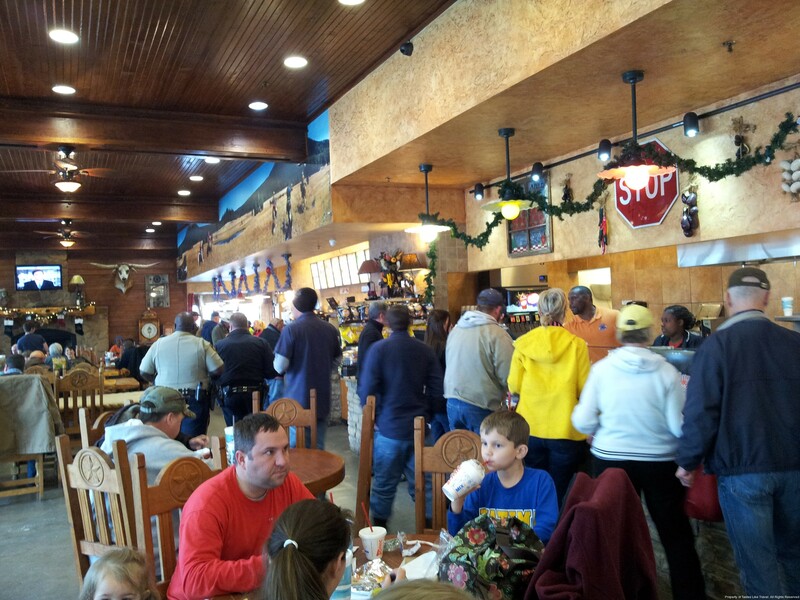 From 5 Star Restaurants to Trailers (yes trailers) you will find every sort of food and beverage here. 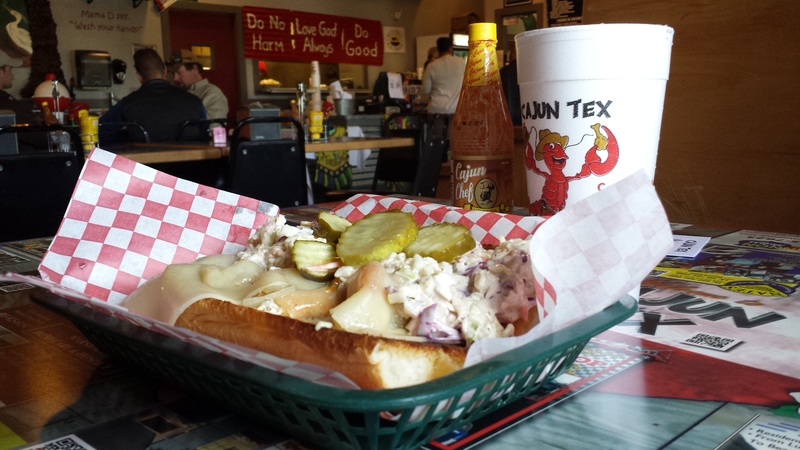 On a recent visit to Austin, I was compelled to stop at the South Congress Food Trailer Park. This unique restaurant row has 11 unique eateries all housed in trailers. On any give day you will see the professional, students, and average Joe’s grabbing lunch or dinner at the Food Trailer Park. I was hungry but I had to make a decision on where I wanted to eat. My choices were Hey Cupcake, Austin Frigid, Fry Baby, Pitalicious, Diver City Grill, Coat & Thai, Wurst Tex, The Might Cone, and The Original New Orleans Po Boy Gumbo Shop. The choices were overwhelming, but my fondness for New Orleans Fare landed me at the Latter. 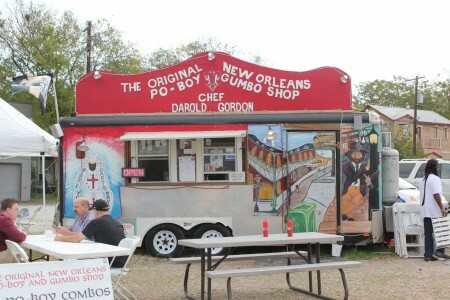 The Original New Orleans Gumbo Shop boast original NOLA food, and one glance confirmed that was no exaggeration. The menu was full of traditional New Orleans dishes and it was a difficult decision. After some time I settled on the Oyster Po Boy combo. 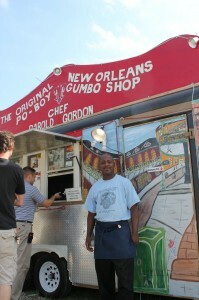 As I waited for my fresh made Po Boy it became obvious that this trailer was the real thing. The biggest clue was a picture of the owner, Darold Gordon, dressed in his Saint Josephs Day Chiefs outfit. If you don’t know about the Saint Josephs Day event in New Orleans you should check it out. Needless to say I knew this food was going to be traditional and original. When my food came I took one bite and was rewarded with the taste and texture of Now Orleans. The Po Boy bread was great and the oysters were perfect. I could not have asked for a better lunch. 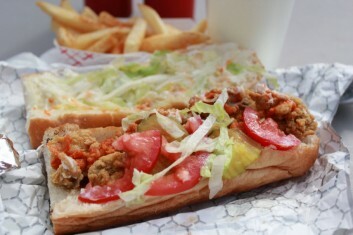 The Po Boy Combo was prices well and came with Cajun French Fries and an drink. I savored every bite. 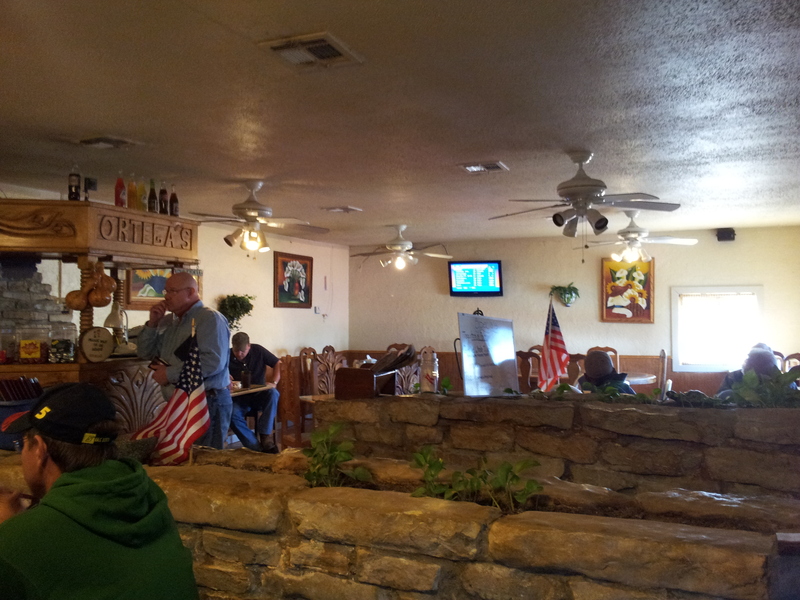 After I ate I talked to Darold about NO and his trailer restaurant. He was genuine and took the time to chat and even posed for a picture. Tastes Like Travel highly recomend having Lunch or Dinner here. It is true New Orleans cooked and serve by NOLA natives. Ask about Saint Josephs Day while you are there. If you are in Austin make sure you stop at the Trailer Park for a quick bite to eat. It is a unique dining experience and well worth the time and money.